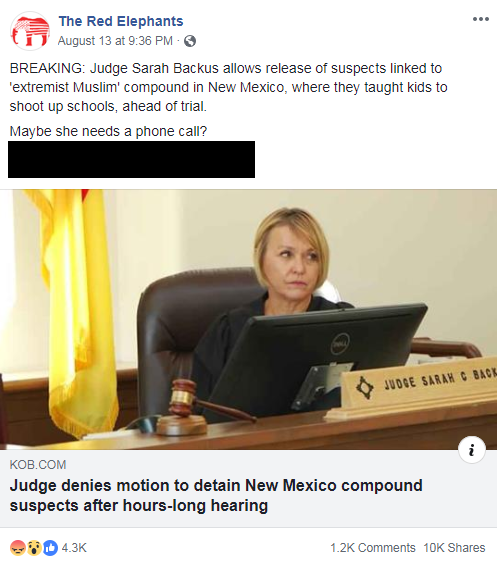 A New Mexico judge received multiple death threats. Earlier, right-wing social media accounts had spread her contact information. After a controversial bail decision, Judge Sarah Backus' contact information was spread on Facebook, Twitter, Reddit, and 4chan. 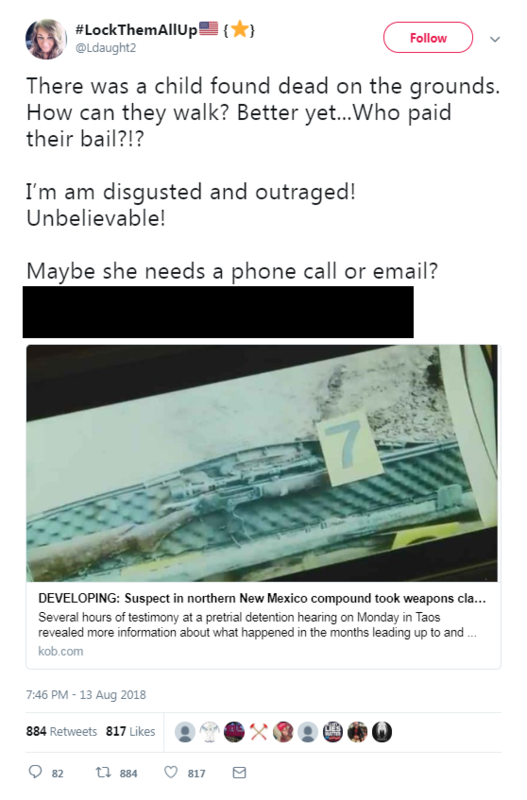 A New Mexico courthouse was evacuated following a slew of death threats against District Court Judge Sarah Backus via social media, phone calls, and emails. 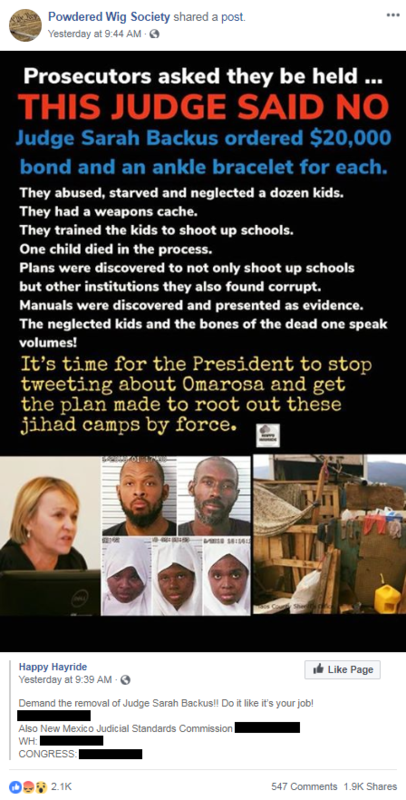 Prior to the evacuation, conservative accounts had spread her contact information across social media platforms after she granted bail to five suspects allegedly involved with training children to perform school shootings in a remote compound in New Mexico stating that prosecutors had not shown “clear and convincing evidence” of the alleged planned attack. 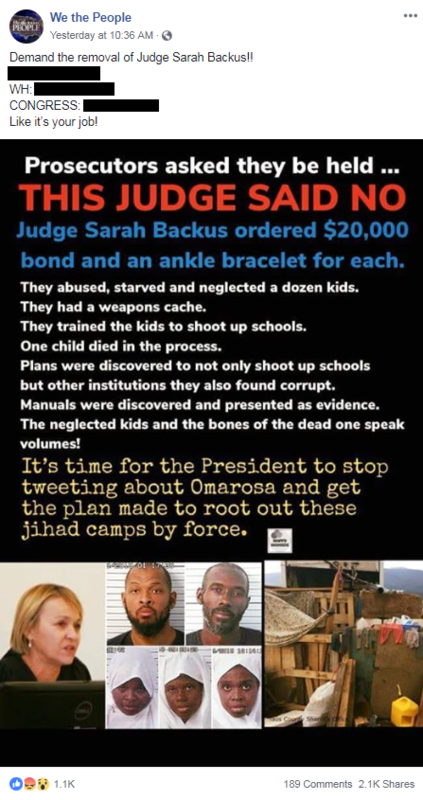 On August 13, Backus presided over the bail hearing for suspects of the compound case and set bail at $20,000 each, ordering that the suspects remain under house arrest and wear GPS ankle monitors. 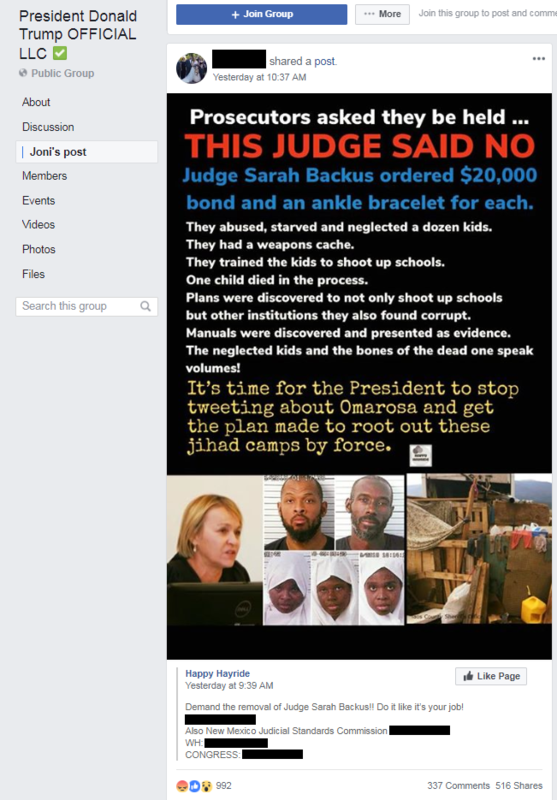 In reaction to her ruling, right-wing Facebook pages posted links and memes referring to Backus’ role in the trial and put her phone number and email in the status. 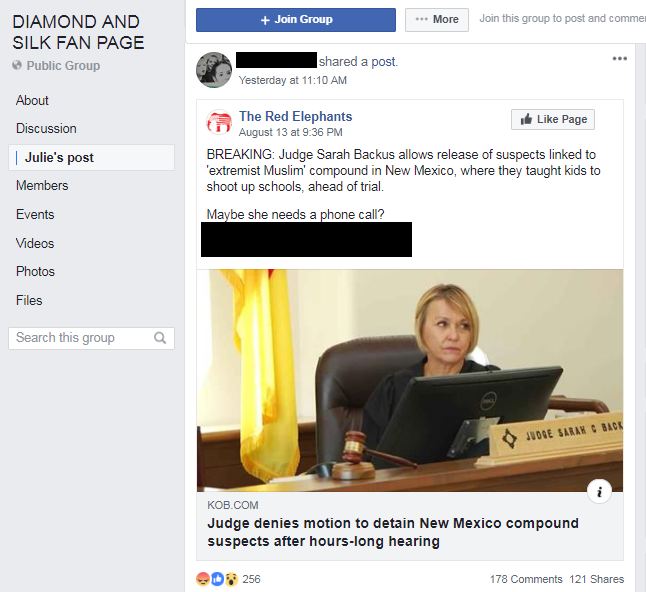 The far-right page The Red Elephants posted her contact information suggesting that followers should call and complain about her decision to grant bail to the accused; the post was shared 10 thousand times. Three other conservative Facebook pages posted a meme calling for Backus’ removal and gave her office number as well as numbers to the New Mexico Judicial Standards Commision, the White House, and the U.S. Capitol switchboard. The top post among these was shared 27 thousand times. 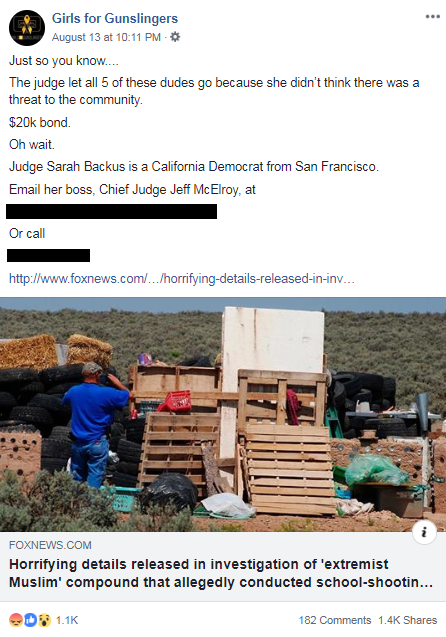 One other popular post from a grey-badge verified page also included Backus’ office number, as well as the email of Chief Judge Jeff McElroy of New Mexico. The content from conservative Facebook pages also spread through Pro-Trump Facebook groups. 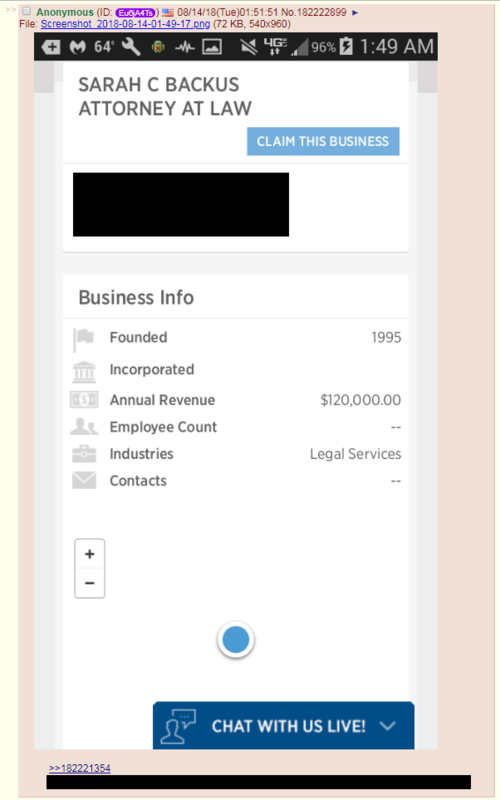 Posts on major groups encouraged people to call and email Backus. 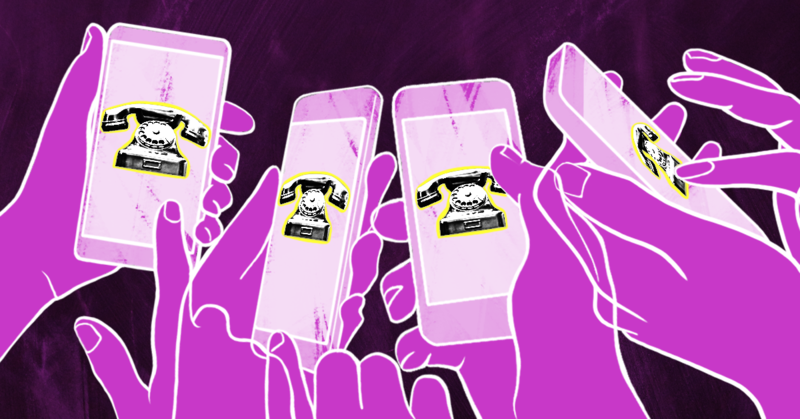 Backus’ contact information also spread on other platforms, including Twitter, Reddit, and message board 4chan. 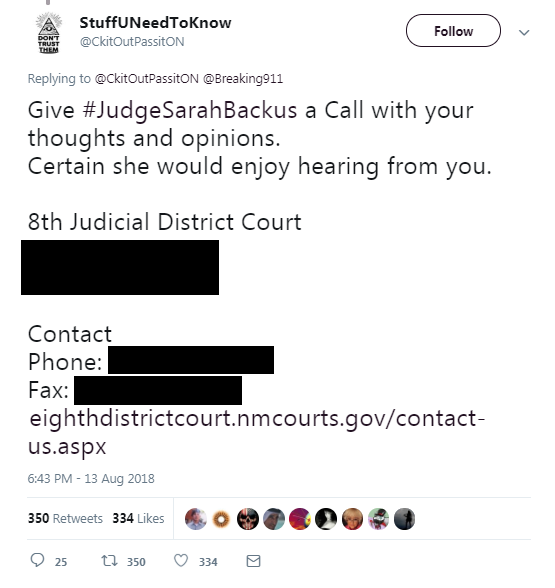 A few popular tweets from pro-Trump accounts mimicked the language in the Facebook posts while spreading Backus’ office number, fax number, email and even court address. 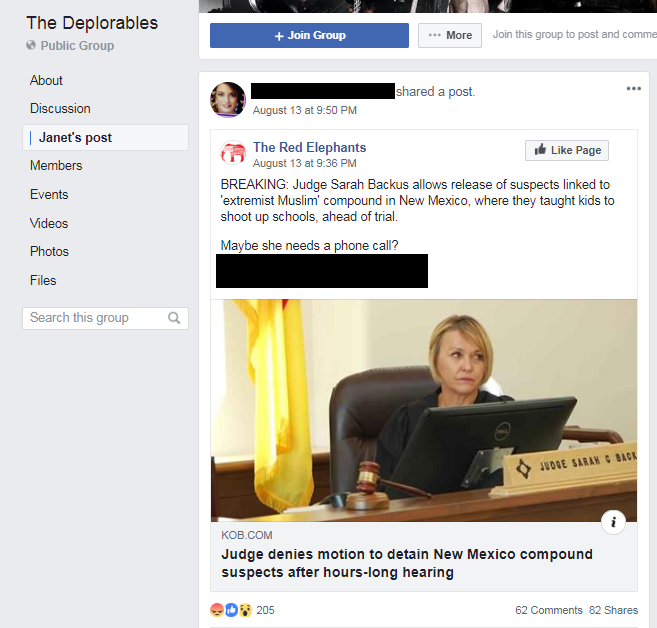 In a top Reddit thread on “r/the_donald,” one top-voted comment included Backus’ contact information, as well as numbers of the office of New Mexico’s attorney general, and a court number which the poster said could be used to reach Backus’ clerk. On 4chan, a couple of threads shared Backus’ office number. 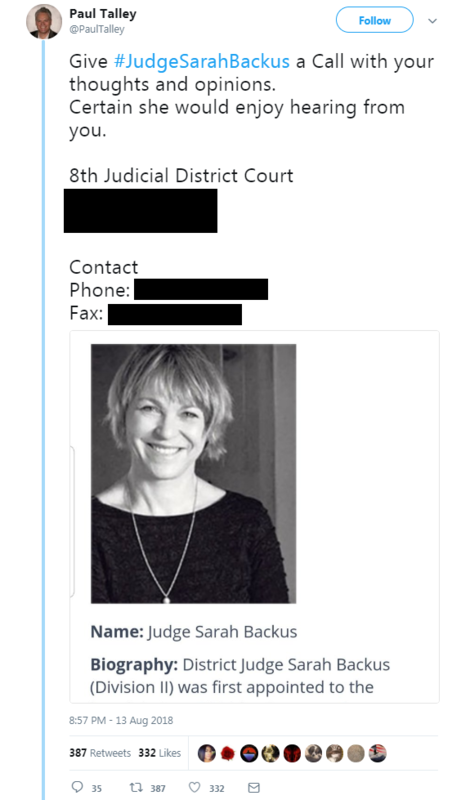 One post shared a screenshot of Backus’ supposed Twitter page and implicitly called for others to find and doxx the boy who is featured in the profile picture.